Among Debra McGuire's many accomplishments as a FINE ARTIST, FASHION DESIGNER and COSTUME DESIGNER, she has been best known for her 10 year run on the hit show FRIENDS and for designing many of David Mamet's film and theatre projects including PHIL SPECTOR (starring Al Pacino and Helen Mirren), nominated for 11 Emmy's and in which she was nominated for BEST COSTUME DESIGN. Debra has also designed many of Judd Apatow and Jake Kasdan's film and Television projects. Currently working on her 3rd Season of FOX’s SPEECHLESS, starring Minnie Driver and just launched SYDNEY to THE MAX for Disney. Debra has just wrapped on SONIC (The Hedgehog), starring James Marsden and Jim Carrey (Paramount Studios/Sega) which Premieres November 8, 2019. Passionate about the THEATRE, she began designing costumes for a dance theatre company in Paris in the early 80's. In 2007 she won the NAACP Award for Best Costume Design for ATLANTA, at the Geffen Playhouse and in 2006 she was nominated for an Ovation Award for Best Costume Design for BOSTON MARRIAGE, at the Geffen Playhouse. Summer 2016 she designed the original period musical, I ONLY HAVE EYES FOR YOU (written by Arlene Sarner and Jerry Leichling, Directed by Kay Cole), at the Montalban Theatre in Los Angeles, which has been nominated for several OVATION awards. 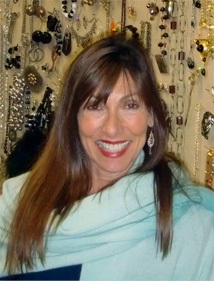 Debra is primarily a fine artist with a career that began as a painter, working and teaching in her Bay Area studio. She became an instructor at Colleges and Universities in Northern California, a Jewelry and Accessories Designer in New York, Fashion Designer, Fashion Consultant, Couturier (with a store in Pacific Palisades, Ca. for 10 years) and Costume Designer. She has been speaking at Galleries and Art Colleges on the East Coast, most recently Pratt Institute, RI School of Design and Brown University: The Refinement of Process: Visual Journey of the Artist as Costume Designer. Recently back in the studio, she travels between her LA loft/studio and her Rhode Island home/studio. Her creativity is rivaled only by her ability to multitask, a skill that has been honed through many years of hard work and dedication. "An artist with passion can create anything…a world 1000 years in the past or the future, an 1800's Western, a contemporary drama or comedy, action film…anything is possible. Creating a visual story that didn't exist a moment ago is about the miraculous Designer-Director relationship…understanding the vision and making it happen. However, without my loyal and dedicated crews, none of this would be possible!"